What is going on outside? The sun is shining, it’s warming up, and flowers are blooming. Could it be that – dare I utter the word – SPRING is here? Who’s happy about that? Hands up! Our new kittens are happy with their first-ever spring! And this Gazelle Girl finisher is happy! I’m looking forward to some additional cavorting on the Potawotami Trail at Trail Marathon this weekend, and overseeing the event’s Zero Waste effort. And speaking of Zero Waste, I have another reason to be happy right now. I don’t often mention my business, Happy Planet Running, on this personal blog, but I want to share this news. 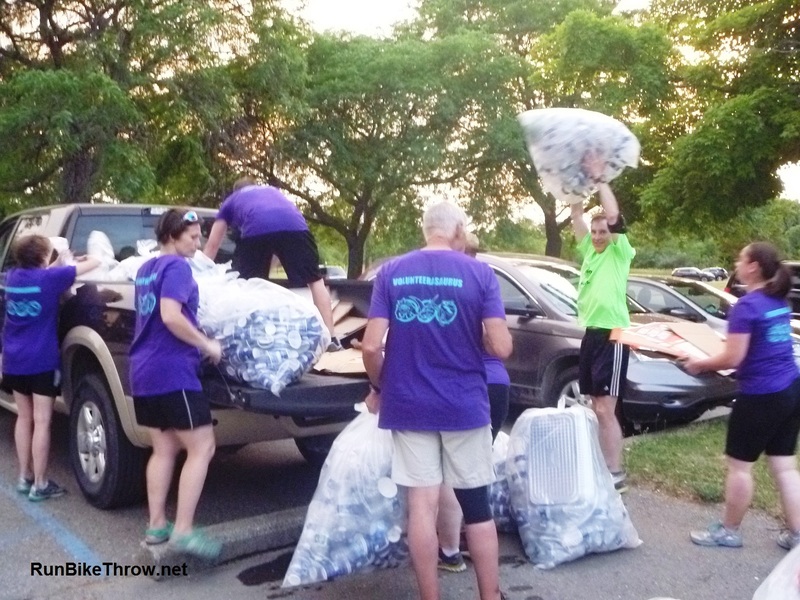 Next month I will be providing Zero Waste services to two local events dedicated to kids: the Girls on the Run regional 5K series, and the first-ever Upland Hills School 5K/10K. As HPR’s mission is as much about education as servicing events, I’m thrilled to be working with young people and sharing with them what’s going on with sustainability. These events will be using compostable cups, reducing packaging, and recycling as many items as possible. At Upland Hills School, the kids were involved in all aspects of race planning, and I was invited to speak to them about Zero Waste. I talked about how recycling and composting work, about how our “throwaway society” came about, and the push to move from the current “linear economy” (use once and throw away) to a “circular economy”(use things over and over, or make them into new things, never throwing away). As with all events I service, I’ll be publishing full reports on the HPR website. I’ll let you know here when they’re ready. And to all my readers: thanks again for following my adventures. I’m continually surprised how many people I meet mention a post I wrote when I had no idea they knew this blog even existed. I’m happy you’re here!